Pico de Loro is a beach and country club located in Nasugbu, a picturesque coastal town in Batangas in the island of Luzon, Philippines. The resort has a view of the mountain and is part of the Pico de Loro cove at the center of the Hamilo Coast development area. Hamilo Coast is part of the global Coral Triangle and boasts of a unique terrestrial and marine environment. Global Coral Triangle is considered the world’s center for marine biodiversity. 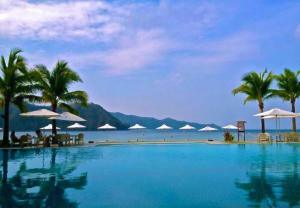 Pico de Loro is a world-class private beach club that is closest to Metro Manila. It is just 90 minutes away from Manila, the capital city of the Philippines. It is the pioneer leisure club at Hamilo Coast and offers extensive land and sea based recreational establishments all conveniently set-up in Nasugbu, Batangas. Exclusive members and their loved ones can enjoy a diversity of water activities such as swimming, scuba diving, kayaking, windsurfing, scuba diving, snorkeling, jet skiing as well as island and cove hopping. The resort also includes sports facilities like a basketball court, squash courts, a tennis court and badminton courts. Beach games like volleyball and football can also be played along the resort’s coastline. 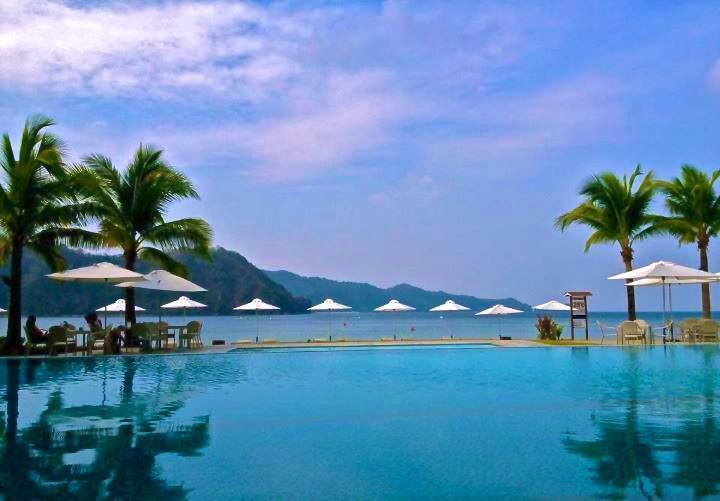 Pico de Loro is a total entertainment scenic resort and also features several massage huts, an adult and children’s pool, a view deck and a lot of shower and locker rooms as well as function rooms. Dining can be enjoyed in Lagoa restaurant, Sun Coral Cafe, Brisa Bar and Arribada Lounge. Other notable areas of the resort are the St. Therese of the Child Jesus chapel, the Kultura Butik and a view deck where the scenic surroundings of the resort can be enjoyed. Around Pico de Loro beach are condos and the Pico Sands hotel. Many condo units are rented out on a daily basis especially for family or friends’ getaway. So for your next travel destination, check out Pico de Loro and experience relaxing views of the Mount Pico de Loro and the beach.